Tired of waiting at the airport for that connection? Bored with friends? There is no milonga tonight? Problem solved! Just use this © Pocket-Milonga! Don't leave your house without it! 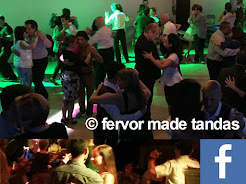 Almost 2 hours of 3-tango tandas, vals tandas, milonga tandas and cortinas with on-screen indication of every song.